Directorate General Of Family Planning Job Circular 2018 has been published on 15th Feb 2018. The circular has a big total posts foe the different categories. The application of the circular will be taken on up to 8th March 2018. To know application system and more about details read this article carefully. 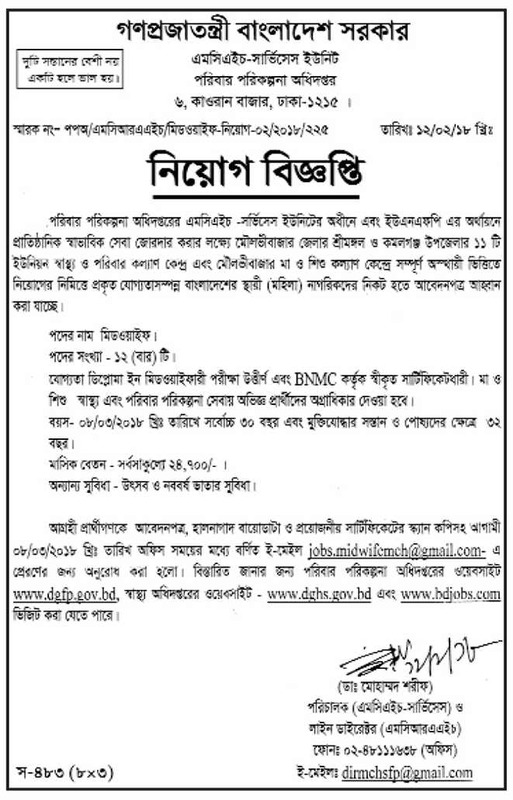 Hopefully all districts family planning job circular will be published very soon, so to get more family district family planning office job circular stay connected to our page. Directorate General Of Family Planning Job Circular 2018 has been published for the only female applicants and the application will be taken on from 15th Feb 8th March. To apply applicants need to send their CV via email at the address given in the circular.